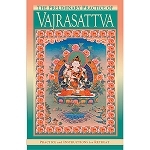 Vajrasattva practice is one of the best ways to purify negative karma, and thus not only avoid future suffering, but clear away obstacles preventing progress on the spiritual path. 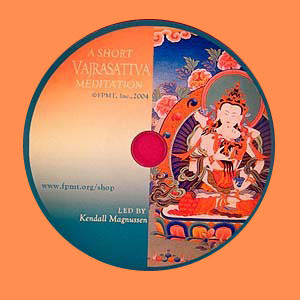 This audio program follows the skillful method to purify negative karma contained in A Short Vajrasattva Meditation, written by Lama Zopa Rinpoche. 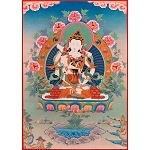 It walks practitioners through the four opponent powers necessary for purification together with Vajrasattva mantra recitation. 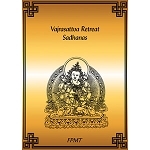 This program is an excellent practice companion for anyone wishing to attain enlightenment quickly by purifying their mistakes. Play time: approx. 27 minutes. Click here for Audio CD.